bp-custom.php is a php file that is loaded before BuddyPress loads anything else. 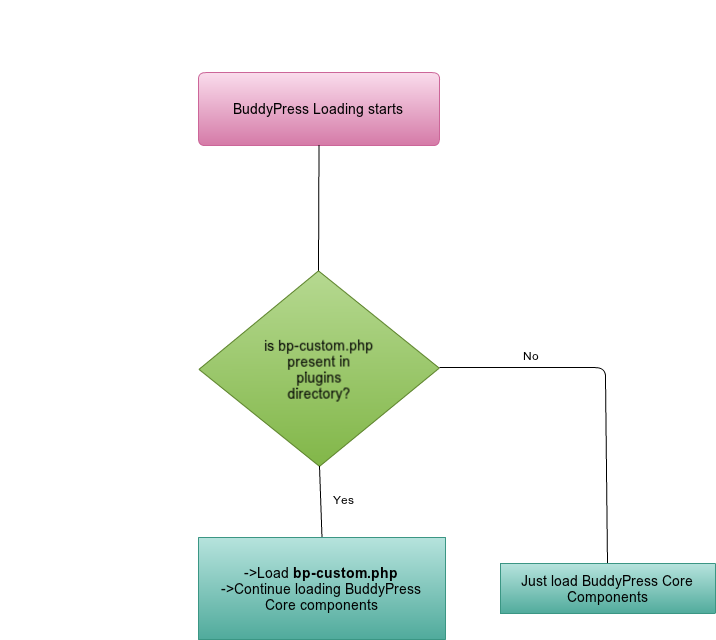 In other words, The BuddyPress plugins looks for the presence of bp-custom.php in the plugins directory and if it is present It is loaded and BuddyPress continues loading the core components then. If you don’t have this file in your wp-content/plugins directory, please create a file named bp-custom.php there to add the custom codes. Here is a flow chart to show the process when it is loaded. What is the benefit of putting code in bp-custom.php instead of theme’s functions.php? Good question. Your changes will be gone when you change the theme but the code in bp-custom.php will always be there. It is not dependent on theme. So, use it to keep common codes. Yes, if it is not present in your wp-content/plugins directory. The actual purpose was to allow you run your code before BuddyPress runs but It can be used to hook into various BuddyPress features.